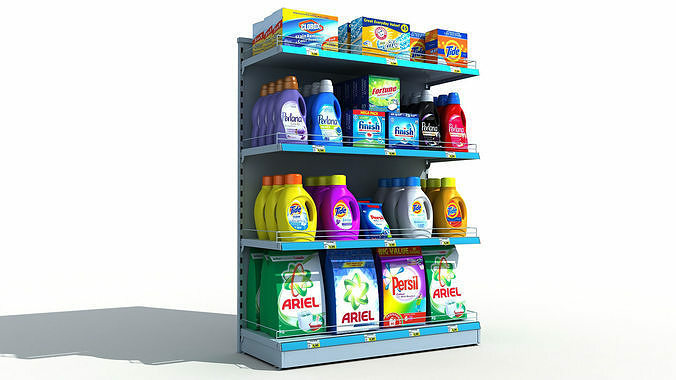 HQ Supermarket Detergents Shelves. Features: Photoreal look. High quality packages models. Real-world dimensions and sizes. No tuning needed, just drag and drop into your scene Easily customizable.